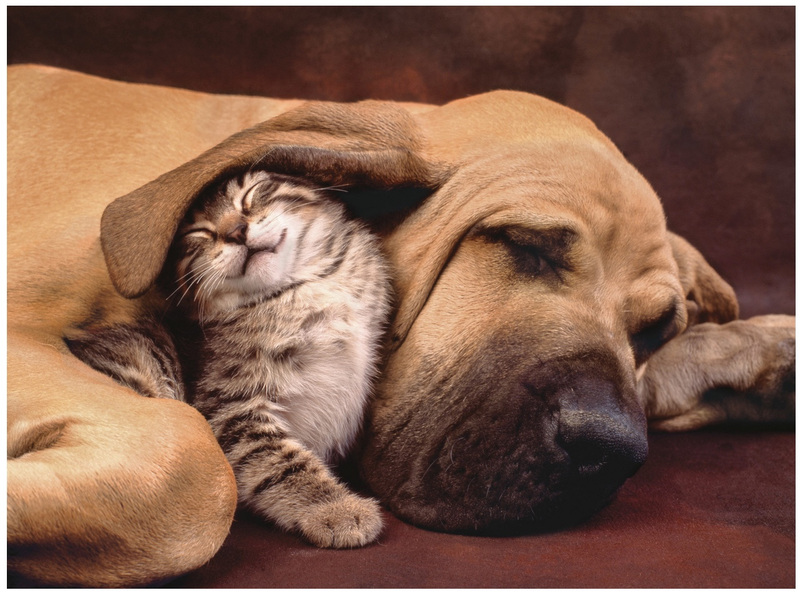 A big ol' hound dog and a cute little kitten snuggle up with each other as they take a nap on the floor together. A timeless photo of two beautiful creatures sharing an embrace. This puzzle will tug at your heartstrings and appeal to your love for animals and all things cute and adorable as you piece this puzzle together. 500 pieces. 49 x 36cms.